Harry Gwala Agri (PTY) LTD is a non-profit organisation founded by commercial farmers in the Harry Gwala District Municipality of KwaZulu-Natal in an attempt to formalise, and drive, the sharing of skills, the imparting of valuable experience and, at times, the providing of financial support for their neighbouring smaller-scale farmers. Now 18 months after inception, the initiative supports several projects in the district which tackle food security, provide much-needed mentorship, drive internship programmes and source sponsorship for aspiring farmers. 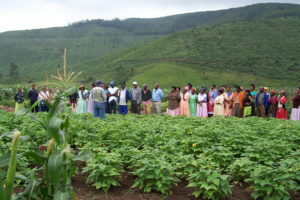 The fundamental principal of Harry Gwala Agri is that of no handouts but rather to act as a facilitator for providing aspiring, local farmers with skills development and to support the unique demands of existing projects in the district, by sharing of commercial farmers’ knowledge, networks, experiences and access to finances in order to alleviate the crippling poverty in the district. “As commercial farmers, we can no longer live as islands of prosperity amidst a sea of poverty. We can no longer farm alongside others who are unable to do the same because of past injustices. We need to take action,” says founder chairperson of Harry Gwala Agri, John Bredin. The “end” goal of Harry Gwala Agri is for farmers to become self-sufficient by the imparting of skills resources from more experienced commercial farmers explains Project Manager Dylan Weyer. 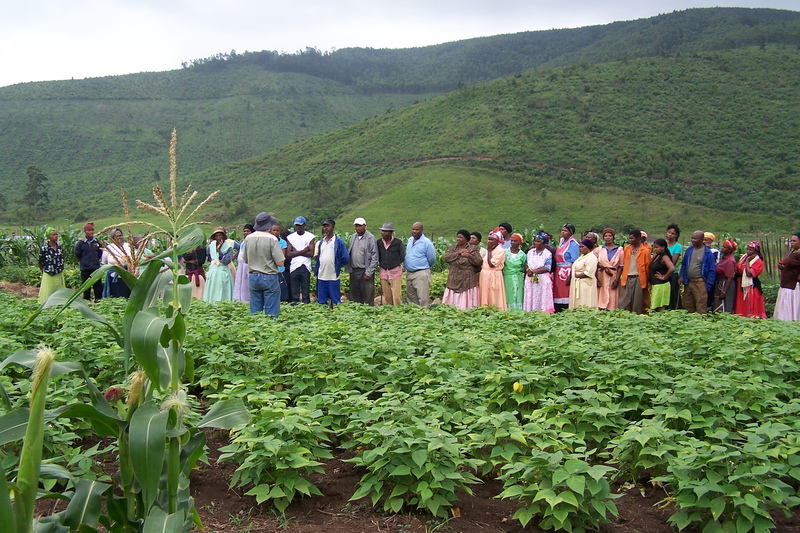 “For many years in the district, local farmers have been involved in projects assisting their small-scale neighbours but these were often unsustainable as commercial farmers are very busy and the demand from so many small-scale farmers very high; Harry Gwala Agri is a formalisation of all of these projects under one umbrella, spreading the resources of knowledge, information and expertise to include more commercial farmers and invested sponsors who all want to be a part of the solution,” says Weyer. As such the focus of Harry Gwala Agri is to initiate and support household-level food security projects, to strengthen agricultural-related education by establishing and assisting student internship programmes, and to partner with commercial farmers, including beneficiaries of the land reform process, through the establishment of mentorship relationships and the garnering of support from the business sector. Current projects supported by the organisation include an internship in-service training programme for agricultural students at Esayidi College in Umzimkulu, placed by Harry Gwala Agri on local farms in the surrounding district with a monthly stipend sourced from sponsors. Another project, which began as a Highflats farmer assisting an employee to grow vegetables on her garden plot in Mazabekweni, a neighbouring community, has grown to include over 50 households with the same approach of sharing knowledge and expertise spreading to neighbouring communities and has seen the birth of a similar project in Umzimkulu. Mentorship is a vital component of the Harry Gwala Agri focus and one such project is the Celokuhle Timber Dairy Farm Trust in Swartberg which under the mentorship of a local farmer is currently milking over 80 cows, has 239 head of cattle, grows timber and through the support of the Agribusiness Development Agency has seen the development of a new dairy and a pivot irrigation system. Another successful mentorship project involves a dairy milking 150 cows on a 120-hectare farm in Donnybrook where a 10-year-old mentorship between an aspiring farmer and a neighbouring commercial farmer is proof that with support, the sharing of knowledge and expertise, commercial farmers are vital in the land reform process. Another project involves the implementation of an irrigation scheme for a Hlutankungu vegetable farmer who approached Harry Gwala Agri for assistance. The organisation sourced sponsorship from agri-businesses to cover the costs of the scheme and paired the farmer with a neighbouring farmer to provide mentorship. “Mentorship is crucial and we hope in time more and more commercial farmers see the value in what we are trying to do. Building relationships between these farmers, aspiring farmers, with people in government and other key agricultural role players, and then facilitating these relationships in order to improve the lives of those in agriculture, is at the heart of Harry Gwala Agri,” said Weyer. CEO of the KwaZulu-Natal Agricultural Union, Kwanalu, Sandy La Marque commended the organisation for its proactive approach and positive attitude in taking national priorities such as education and food security, and turning the tide of the local economy through tangible actions. “The fact that commercial farmers have without question been willing to go far and beyond the extra mile without hesitation shows the commitment to playing a key role in land reform and agrarian transformation. What is needed is partners who are willing to commit their resources – financial and other to ensure that transformation can grow and be replicated throughout the province,” said La Marque.